… by which I mean the ‘real’ North, the far North, the Arctic. Norway’s current teacher education reforms are highly distinctive internationally. They take a bi-directional approach that is unusual: they extend the main professional preparation for primary and lower secondary teachers to five years leading to a Master’s degree while also taking a ‘practice turn’ and challenging schools and universities to work together more closely, deepening the understanding of professional practice, and trying to ensure that new teachers are ‘practice-ready’. 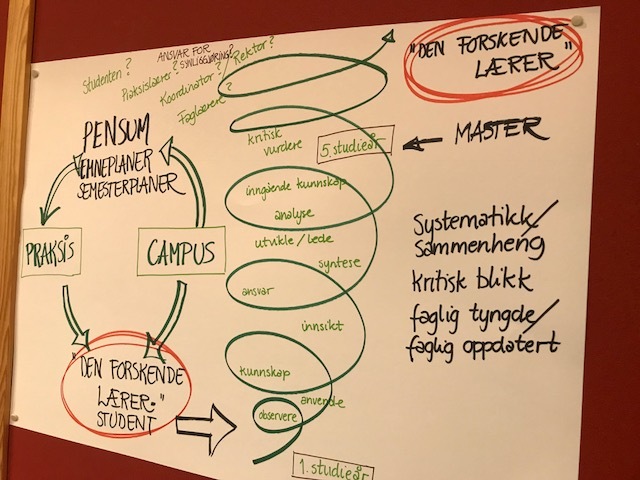 And if you factor into this process, a major restructuring of the Norwegian higher education system – with several new, larger institutions being formed through mergers of smaller colleges – you get an extraordinarily complex setting for some extraordinarily complex policy enactments. NOKUT, the Norwegian government’s Quality Assurance Agency for Higher Education, is supporting the implementation of the new, Master’s-level teacher education programmes through an international advisory panel (APTE) of which I’m a member. 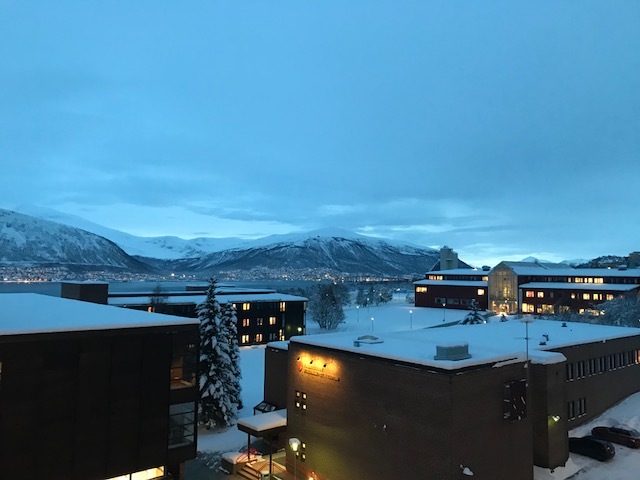 So for the last two days I’ve been working with Auli Toom of Helsinki University facilitating a workshop for HE-based and school-based teacher educators here in Tromsø, northern Norway. Tromsø is the third largest urban area in the Arctic circle; the largest is the Russian city of Murmansk. It’s also a city to which tourists flock to see the Northern Lights and, in recent years, to go whale-watching (the whales have become fond of Tromsø for the herring). What should be prioritised in student teacher learning at the Master’s level? How do schools and universities collaborate to build a research-oriented culture and a pedagogy that supports Master’s level teacher education in the long run? The italicised phrases gave really important emphases to the questions and raised, in response to the first question, the challenge of deciding whether and how to assess high quality teaching through the academic credit system (ECTS) and, in response to the second, how you first initiate and then sustain the kinds of relationships between academic and professional partners that would allow for a research-oriented culture to flourish. And I have to say that it was refreshing to leave behind in England a narrow and polarised discourse around ‘research’ and evidence in teacher preparation. Norway understands research (‘science’) in multi-disciplinary terms and also understands that science has many purposes, audiences and modes of production. There is no cack-handed promotion of ‘progressive eugenics’ by self-regarding ‘reformers’ nor naïve fetishisation of randomised controlled trials. So there’s reassuringly little reformista flatulence up here. It was also very refreshing to participate in genuinely open discussions about the pedagogies of teacher education and the division of labour between HE- and school-based teacher educators at national and regional levels. Do we expect all HE-based teacher educators to be able to model – or ‘approximate’ – good teaching (I.e. school teaching) opportunities in university classrooms? Is school the place where the practices of teaching can be most effectively ‘decomposed’ and different elements rehearsed by student teachers during collaboration with their mentors in ‘real-time’? Do school-based teacher educators have to support the academic, research-based Master’s thesis or is this activity best left to the HE-based teacher educators? Do Master’s-level teacher dissertations have to involve original data collection or is it just as appropriate (or more so) for the students to analyse existing data sets at a very high level? Also refreshing was the inclusion of the student teachers’ perspectives in these deliberations. We actively sought their insights into their experiences during the first year of these new Master’s programmes. Again, it left me wondering where the student teachers’ perspective has gone in English, national-level discussions of teacher education. 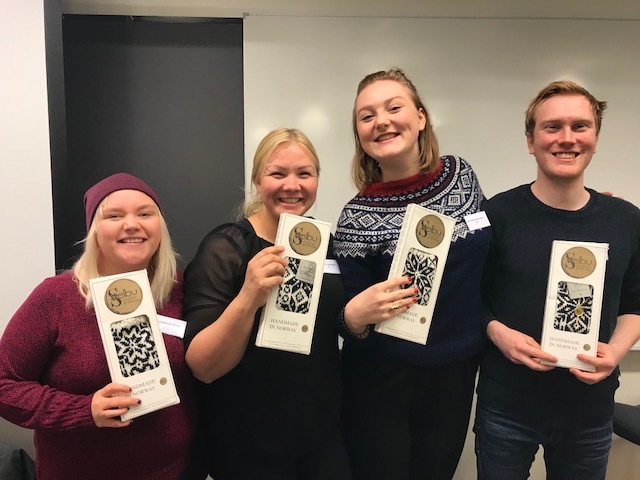 We also benefited from the participation of the Sámi Allaskuva, the university and teacher education programme dedicated to the language and culture of the Sámi, the indigenous people of the North now living across Norway, Sweden and Finland. Questions about the place of indigenous culture in transnational settings problematized concepts such as ‘internationalisation’ and ‘race’. The advisory panel will be continuing its work with Norwegian teacher educators over the next three years. Soon, we will move from ‘listening’ and fact-finding mode to advice and support mode. There will be a national conference for all the institutions involved in making these changes work in Oslo in May next year. It really is a privilege to be involved. It is one of those jobs where you take away as much or more than you give and a reminder too what a serious, non-polarised, non-self-aggrandising discussion about teacher education can offer. The reforms in the North have made me believe even more strongly that, in England, we need an association of teacher education/teacher educators as is the case in so many parts of the world. I know that in some local partnerships in England and elsewhere in the UK, there are some equally lively and thoughtful discussions of issues that are critical to our field. But nationally, the level of discussion about teacher education is often extremely restricted, dominated by reactions to Tory policy lunacy or by deeply compromised, self-appointed ‘saviours’ of ITE, and by those who continually bait the exhausted and vulnerable on Twitter. Neither UCET nor policy-makers can offer the kind of forum for these discussions that is needed. Indeed, I would say that our current government, especially, would actively not want a teacher educators’ association in England; the present situation is highly beneficial for them. So perhaps until we can do policy and reform like a country like Norway, teacher educators in England (perhaps with the support of a transformed organisation like TEAN) can do this for themselves? A UK Association of Teacher Educators? Let’s see. Next The avatars are coming! But is it innovation in teacher education?